As a B2B marketer, you navigate a long purchase cycle to get buy-in from decision-makers at every touch point. You work with sales, content, SEO, and customer care champions to promote targeted messaging. Overall, you’re doing the right things. In reality, educating and nurturing B2B buyers in this crowded digital space is tough. As a result, measuring ROI on your marketing spend is getting tricky. Which begs the question: How can you continue to attract and engage targeted buyers? By merging PR and content marketing in your B2B marketing campaigns, of course. With the growing influence of the Internet, 67% of B2B buyers now use digital platforms to make their decisions. So, unless you utilize the combined power of inbound and outbound marketing tactics, your words won’t stand out in the age of omnichannel sales cycles. You may have solid content marketing. But reaching the right decision-maker at the right time through the right channel will affect your brand perception. This is where PR comes through. So, let’s use these disciplines together to win against online media democratization, social media noise, and fragmented user journeys. Your customers seek validation of your solutions, from someone other than you. They want to hear it from their friends, community and even experts, influencers, and media. But the harsh truth is — any single content medium isn’t influential enough to convince prospects a brand is trustworthy. Not when there are millions of dollars at stake. That’s why there’s a need for a marketing approach that not only tells your story but proves its credibility too. What’s surprising is 83% of B2B buyers give credit to thought leadership for trusting a brand. So, use PR to build your brand reputation and content marketing to sustain it. Not that content marketing doesn’t generate leads or isn’t effective on its own. You control the message in written content which may open doors to earned media mentions. But, more often than not, it’ll have an undertone of being brand-focused or worse, salesy. Whereas, PR brings authenticity to your message with non-salesy, third-party endorsements. Listen to your customers to create and promote content that helps them before it helps you. PS: Don’t limit yourself by thinking your niche is complex. Rather, it gives you an opportunity to design marketing campaigns for a hyper-targeted audience. Let’s find out how you can get both practices to work as an extension of the other. Hold joint content marketing and PR team meetings to spot their strengths and weaknesses. Since the content team focuses on your brand image and PR responds to current trends and conversation, you can strengthen your online and offline brand positioning. TL;DR: You understand the gaps in your messaging and can determine if your marketing collaterals favor the brand over stakeholders. Allowing you to align inbound and outbound marketing themes. Involve the PR team in developing an effective content strategy and encourage them to contribute articles. This method is powerful for two reasons. First, the PR team pitches media persons, bloggers and influencers daily. This exposure teaches them to write from an editorial perspective. Moreover, they can get expert sources for your content with ease. Second, they watch market trends faithfully. So, they know what’s popular, what resonates with people whose opinions matter, which stories get picked up. In time, you’ll create marketing tactics which both PR and content marketing teams can leverage together. Let’s say a journalist reads contributed article written by your company executive. She thinks they’d be the perfect source for her next feature. So, she visits your site since she’s never heard of your brand. What will happen if the owned media doesn’t align with your brand positioning in the article? You’ll miss an opportunity to develop a mutually-beneficial relationship which may have resulted in media coverage. Moral of this example is making PR outreach a part of your lead generation campaign expands your thought leadership as you guide your prospects AND audience. TL;DR: Integrating PR in your inbound marketing funnel enables you to promote your media features, improve SEO and site traffic. Plus, you can boost brand awareness and encourage better lead conversions. You can engage with industry leaders, journalists and influencers through timely PR initiatives. Then pull them in with high-quality, consistent content which converts these individuals as brand partners or better, advocates. Not to mention, with inbound and outbound marketing blend, you compel journalists to come back for readily-available, helpful content. In no time, the backlinks secured from well-respected trade publications will also enhance your marketing funnel as your content collaterals complete the PR messaging. TL;DR: With this method, you establish brand credibility by “giving value first” says Laureano, and reach a wider set of B2B customers. You can use content marketing (for example, a blog series) to condition leads before a PR announcement. By promoting unchanging brand value with every content piece. This conditioning will create a buzz around the PR event. And help you start a conversation with media and stakeholders. Besides, every outlet needs content which cuts through the noise and keeps their readers engaged. So, you stay on target media’s radar as they search for their next big news. Furthermore, both teams get to work on different ideas for pitching to the media, promoting the brand and increasing lead conversions. TL;DR: Your content team works with audience-first mindset instead of product-driven one. As a result, your brand becomes transparent and impactful. Although 70% of B2B marketers now create more content, they’re struggling to make it engaging. Enter repurposing owned and earned media into brand assets. You can turn an ignored media pitch into a blog. Or secure coverage by pitching survey insights. Produce a white paper off of the same survey and advertise it via email marketing and social media. Or write a case study which later gives you an idea for a bigger trend story. Bring past and present of content marketing and PR together to plan and execute the future of your vision. TL;DR: You can skyrocket engagement on every piece you write or outreach you start, regardless of when it was published or secured by recycling PR and content pieces. Now, let’s talk about the PR tools which propel your marketing strategy and help enhance brand value. Help A Reporter Out (HARO): HARO compiles a list of journalists and bloggers who want expert sources for their stories. The queries come in a free email newsletter. Anewstip: This great service helps you find journalists, influencers and outlets relevant to your business. RadioGuestList: A top free resource to land radio, TV and podcast interview opportunities. PitchRate: Like HARO, PitchRate connects journalists to credible sources. Though the media network is smaller than HARO, this free service is worth a try. BlogDash: BlogDash boasts of a massive network of influential bloggers looking for experts. SimilarWeb: Use this free platform to track unique visitors per month (and more) of any website. Crystal Knows: This Chrome extension gives insights into an individual’s personality based on their online behavior. You can use Crystal to build genuine relationships with the target audience. Mention: Monitor millions of online sources in real-time and discover conversations related to your brand. Brand24: Brand24 tracks opinions, social mentions and buzz around your company, products and even keywords. Google Alerts: A free, simple-to-use tool, Google Alerts is a favorite among PR professionals. It shares any content which shows up for a keyword you set. Talkwalker Alerts: A Google Alerts (free) alternative, Talkwalker compiles updates on timely, latest mentions and news on the web. Muck Rack: A media relations solution to search and develop media lists, nurture conversations and analyze results. PressRush: Optimized for online media outreach, PressRush lets you design PR strategies. You can monitor media, search journalists, track email opens without spending a fortune. Voila Norbert: This email search and verifier tool comes with free 50 searches. Just put the name of the journalist/influencer and URL of their company, and you’ll get their email ID. Buzzstream: Use this paid service to connect with the best influencers in your niche and boost your backlinking efforts. Hunter: A Voila Norbert equal, Hunter is an upgrade and provides 100 free email searches per month. You can also track email opens within the tool. Coverage Book: This handy platform streamlines the KPI measurement of your media coverage. It collects online mentions (and offline with manual upload) and displays total views and shares. Techmeme: A news aggregator, Techmeme gives real-time tech industry news. It also shows you journalists who cover specific stories/beats. BuzzSumo: BuzzSumo shows you which articles are trending for a keyword and how you can leverage your content strategy with this information. Sharethrough: Improve click rate conversion of your content marketing and PR pieces by writing the best headlines using this free platform. Feedly: Feedly is a free service to save, analyze and curate relevant news and trends on the go. Email Time Optimizer: Use this free tool to send emails at the exact time your target audience scans their inbox. “Growing brand awareness isn’t going to come from an ad somewhere on social media; it’s only a start,” insists Laureano. Brand growth starts from a conversation, so think of PR and content marketing as yin and yang. Although distinct, they’re still interconnected and have the same end goal. To prove you’re the perfect brand to help your prospects optimize hundreds of thousands of dollars, if not more, with less effort. So, start your journey to the B2B marketing wonderland with this dual approach. While you save time, improve resources and serve your stakeholders along the way. Have you used this two-pronged marketing strategy? This article originally appeared on Webbiquity. 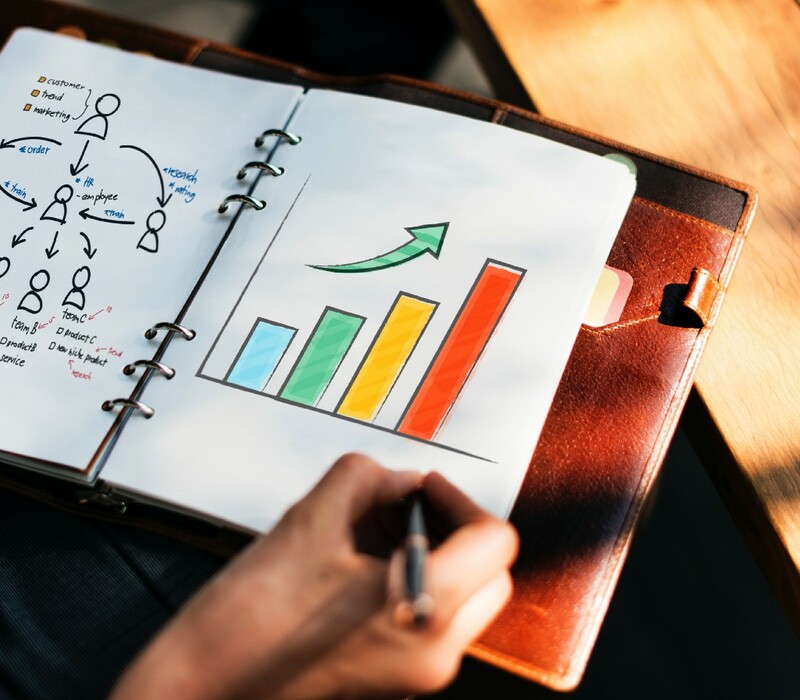 How to Join the Forces of PR with Content Marketing to Scale Your B2B Brand Value was originally published in Marketing And Growth Hacking on Medium, where people are continuing the conversation by highlighting and responding to this story.